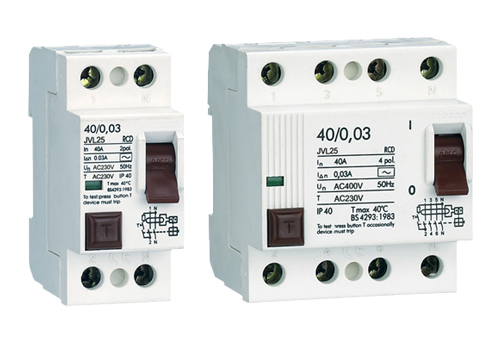 NFIN Residual Current Circuit Breaker provide the function of isolation switching and earth leakage protection of electrical circuits.And also provide the indirect protection of the operator’s body against the dangerous effects of electric current and provide the protection of the fire caused by the electrical circuit fault. 4.Operate part can not be taken down from the shell outer of products , the shell can not influence the operating organization to work , the accessory group which replace the feelers pressure, should guarantee the feelers pressure does not change while running. ・Circumstance temperature -5°C~ +40°C , average temperature not exceeding 35°C. ・Altitude above sea level less than 2000 m.
・Humidity not exceeding 50% at 40°C and not exceeding 90% at 25°C. ・Installation class II or III. ・Installation method DIN Rail mounting type. ・The external magnetism shall not be more than 5 times of terrestrial one. ・Product shall be installed vertically at the place where there shall be no severe impact and vibration. The product is switched on when the handle is at upper position.